England sevens legend Ben Gollings aims to continue making waves as coach of China as they eye the final women's spot for the Rio 2016 Olympic Games. Surfing may not be an obvious way to prepare a side for an Olympic Repechage, but then Ben Gollings is no ordinary coach, and China no ordinary side. The representatives of the world’s most populous nation spent time earlier this year at training camp in Queensland, where their down-time took them to the beaches of the Gold Coast – and a surf lesson. 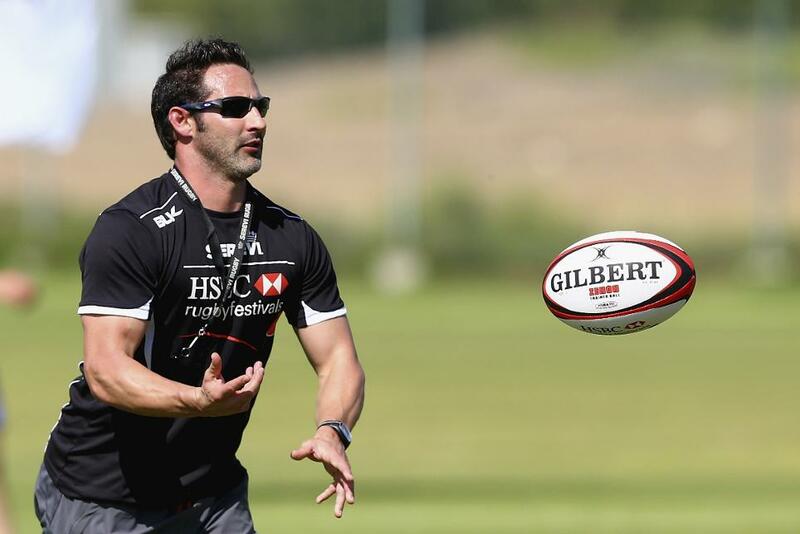 The Cornishman, who played 70 HSBC World Rugby Sevens Series tournaments for England, has been in charge of the Chinese women’s sevens side for just under a year, following stints in Sri Lanka and the United States after his stellar playing career ended. Regarded as sevens rugby royalty, Gollings (pictured) retired with several World Rugby Sevens Series all-time records in his bag, notably most points (2,652), which included an incredible 220 tries. He played in two Rugby World Cup Sevens tournaments and three Commonwealth Games. Shortly after he took over China last July they reached the final of tournaments in Qingdao and Colombo, and then finished in one of the three repechage qualifying spots behind Japan at the two-part Asia Rugby Women’s Sevens Championship. Japan won both the events, in Tokyo and Hong Kong, but the Chinese inflicted their only defeat at the latter, a famous 12-5 victory. The side came to Europe in May to tune up for the repechage, finishing second in the Howard Hinton Sevens and third in Amsterdam. “We have some phenomenal athletes, it’s just a matter of now putting the finishing touches on them and creating a better understanding of the game,” Gollings said earlier this year. “In terms of how many years of rugby they’ve played, it’s not been huge. The average is about three years. All of them have different sporting backgrounds – softball, volleyball, track and field. We’ve got a few soccer players and you can see they’ve that vision. So we’re trying to mould it all together. There is some serious talent in the side too, including Xiao Qian, who was named player of the tournament at the 2014 Youth Olympic Games in Nanjing. “She is one of the youngest players but most gifted,” says Gollings. “She always has a big smile on her face. The sport has been played on-and-off in China since 1875, but received a powerful impetus in recent years thanks to state support and a ground-breaking strategic partnership between World Rugby and Alisports earlier this year. “There’s more rugby in China than people think”, explains Gollings. “The biggest competition is the China Games which is played by all the provinces. This has helped start the development of rugby but when it gets into schools we will see the biggest growth. “They need to build the foundations and develop the rugby culture and the understanding of the game. Once they grasp this they have every opportunity to be a very competitive rugby nation. Definitely claiming a spot in Rio would help too. Gollings has been following China’s Pool C opponents closely. “Ireland have been improving all year having seen the play in the world series qualifiers last year. They are a very physical team and have some great speed and gifted players. Trinidad and Tobago I have seen grow over the last couple of years too. They are not an easy team to play against and we will have to be on our guard against them. Portugal I saw playing in the Europe series just gone. They play similar to their men’s side and if given room can be very dangerous.